Welcome to our Elk Grove Village, IL Dental Office! If you are looking for an Elk Grove Village dentist with a family-centered, comprehensive approach to dentistry, then it’s time for you to meet Dr. Vishal Advani. Dr. Advani is thrilled to continue a tradition of high quality, compassionate dental care in Elk Grove Village and the neighboring communities, including Itasca, Wood Dale, Roselle, Bloomingdale, Schaumburg, Des Plaines and Arlington Heights. At Elk Grove Smile Center, we believe in providing the best comprehensive care to our patients and take pride in offering a variety of services to meet a full range of dental care needs. We make it easy for your entire family to get top-notch dental care in one place, from the youngest members of your family to the oldest. With a strong focus on preventive care and thorough examinations and cleanings, we provide care for your teeth that will help them last a lifetime. We also offer same-day treatment for the dental emergencies that life occasionally throws our way. In many dental emergencies, permanent damage can be avoided with prompt treatment. We make a point of keeping appointments available throughout the day for emergencies, so please give us a call for fast, excellent emergency dental care. Dr. Advani is also available to take care of your emergencies and get you out of pain on the weekend. Our Elk Grove Village Dentist Office offers a number of services that will help to repair and restore your smile. 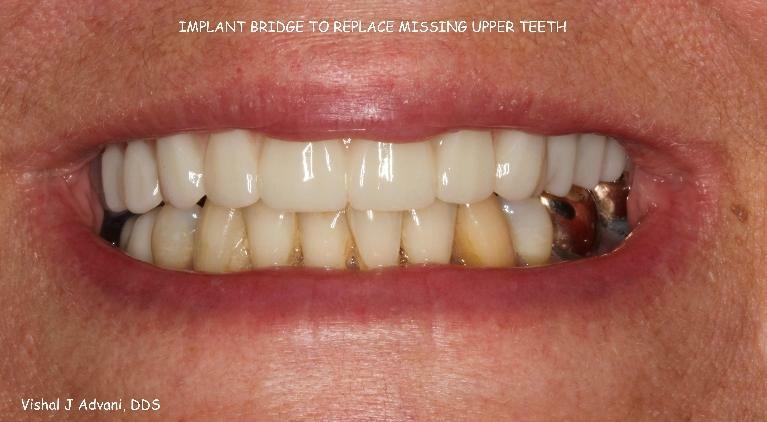 We use metal-free crowns and bridges in many cases to give you a flawless smile with no dark line to give away your dental work. We also offer tooth-colored mercury-free fillings for cavities. These fillings blend in beautifully with your own natural teeth so you don’t have to worry about smiling wide or laughing out loud. If you are in need of a full smile makeover, talk to us! Dr. Advani is a certified provider for Invisalign and other orthodontic treatment options. Dental implants are an excellent choice for repairing your smile and returning your teeth to full functionality. Dr. Advani is able to place dental implants right here in our Elk Grove Village dental office, saving you the time and trouble of having to see another doctor for your implant placement. 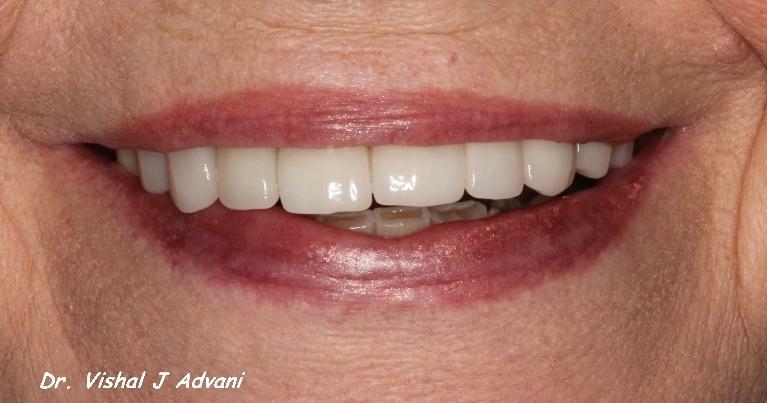 Dr. Advani can also perform cosmetic procedures such as professional teeth whitening and dental veneers to give you the brilliant, beautiful, flawless smile you’ve always wanted. Call today for a cosmetic consultation to see how we can help you have the smile of your dreams. At our office, we treat you like a valued member of our dental team – because you are! We take the time to review treatments and procedures with you so you understand why we recommend a treatment and how it will benefit your health. Most of your dental care happens at home, and we work with you to make your home care routine as easy and effective as possible for great cleanings and healthy, strong, beautiful teeth. We’ll also teach you ways to get your entire family involved in making good dental habits a priority in your home. Contact Elk Grove Smile Center today to schedule an appointment with Dr. Advani and find out what we can do to help you have a healthy smile. We look forward to meeting you and becoming a part of your healthcare team! We respond to call and emails 24/7.